About Leah Craig, L. Ac. Leah Craig grew up in Brown County, Indiana with a love of nature and organic gardening. While attending Indiana University in Bloomington for her undergrad studies she worked in the health food industry where she furthered her interests in natural foods and living a healthy lifestyle. After incurring a knee injury from pursuing outdoor activities, Leah was dismayed by western medicine’s treatments. This is when she began researching alternative treatments for her injury and discovered acupuncture. After two acupuncture treatments her pain was dramatically decreased and within three additional treatments she was pain free and walking without a limp. This sparked her interest in Traditional Chinese Medicine. Leah began her search for a school where she could study acupuncture which brought her to the East-West School of Oriental Medicine in Sarasota, Florida. After visiting the school, she fell in love with the discipline and knew this was where she belonged professionally. She moved to Florida and Spent the next four years obtaining her Bachelors of Health Science and Masters Degree in Oriental Medicine. Upon graduation, she made the move back to be in the Midwest and Bloomington. She then studied and passed her board examinations and was deemed a Diplomat of Acupuncture from the National Certification Commission of Acupuncture and Oriental Medicine. 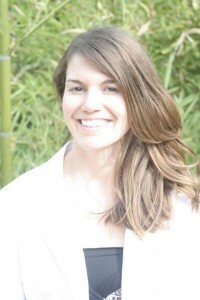 Leah obtained her license to practice acupuncture in the state of Indiana and founded Roots of Healing Acupuncture. Currently the main office is located in Nashville Indiana and she also has office hours one day a week in her Bloomington office. Leah currently lives with her husband, daughter, two dogs, and four chickens in Brown County.